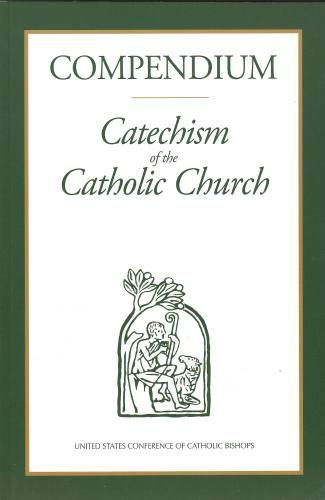 From the USCCB, the Compendium of the Catechism of the Catholic Church offers a clear synopsis of the essential contents of the faith as promulgated in the Catechism in 598 questions and answers. Like the 1992 Catechism, the Compendium has a four-part structure and includes a section on common prayers and Catholic doctrinal formulas. Because of the question-and-answer format, catechetical leaders-parents, pastors, teachers, principals, and catechists-have a unique opportunity to dialogue with the faithful and to reinvigorate the Church's ongoing mission of evangelization and catechesis. Individuals can come "to know the unfathomable riches of the salvific mystery of Jesus Christ" by reading, using, and memorizing parts of the Compendium of the Catechism.